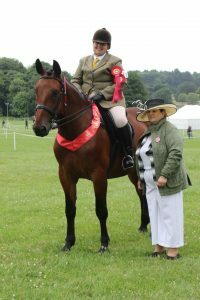 Competitors flocked to Derbyshire County Shows which was kindly hosted by Lucy and David Palmer of Locko Park which was a new venue for this year following a disaster with flooding back in 2016, reports Sian Lovatt. All rings were well subscribed and well supported, with a large number of entries in most classes. 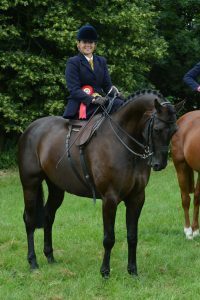 Kim Cox continues her winning streak on Royden Sweet William, who has so far qualified for the Royal International and Horse of the Year Show under the experienced guidance of Katie Jerram. 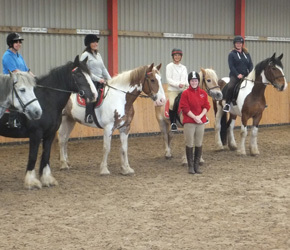 Kim took top spot in the Small Hacks and then went on to stand Champion. 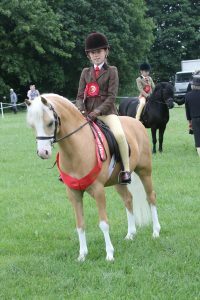 17-year-old Grace Redfern from Tibshelf in Derbyshire and her 4-year-old Irish Draught, Sarn Shepherds Hill, campaigned the Irish Draught Blue Chip Qualifier and despite it being his first ridden show with a ride judge went on to win and then take the ridden Irish Draught Champion. Not stopping there, the duo went on to win the ID/ISH in hand class as well as taking in-hand champion and then overall in-hand supreme of show with Fell pony, Wansfell Wandaran handled by L Bamforth as in-hand reserve supreme. The combination have now qualified for the breed show final which is held later in the year. 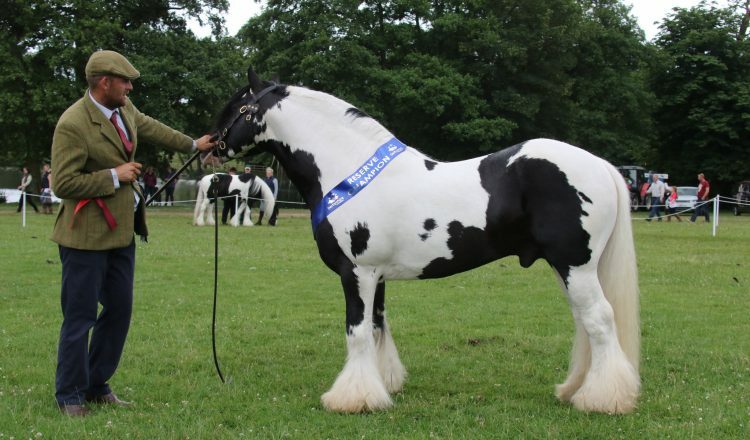 Another combination sweeping up the red ribbons this season is Derbyshire Based Thomas Partridge and Jo Martin’s SD Prince of the Wystone Stud (below). 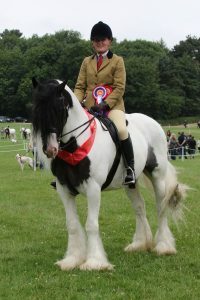 The duo won the Open Traditional Gypsy Cob Association class and then went on to take reserve in the TGCA Championship. “Prince has gone home now to cover some mares but will then come back out for the TGCA and CHAPS championships later on in the year!” Said Tom. Over in the Local Riders ring, which was sponsored by Equestrian Life and aimed at riders living in a certain mile radius of the show, entries were bursting. 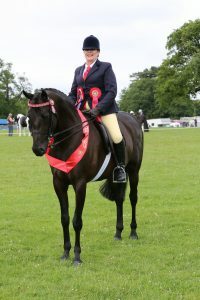 Belper rider, Stacey Smith and her 19-year-old, Irish Draught, Just A Rumour won the local hunter class and then went on to take the local riders ridden championship. 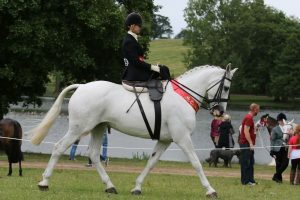 “We won this class and championship 7 years ago, but this time decided to come out in side saddle, which we’ve been doing for just under two years now.” Said Stacey. 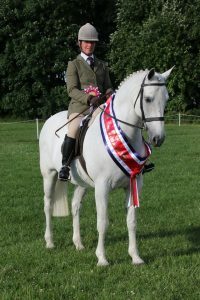 However, it was Leicester rider, Jill Wormall, and Celtae Cross that managed to wow the judges after winning the Novice Working Hunter exceeding 14.2h class, taking the Novice Working Hunter Championship and then went on to take the ridden supreme of show with Lincolnshire based Holly Bignell and Padula Party Pants in reserve after winning the First Ridden SP/SH class and a third in the Cradle Stakes Working Hunter Pony. 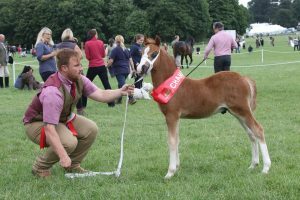 The organisers of Derbyshire County would like to thank all exhibitors for their support after the 2016, but hoping this year’s show will put them back on track and push onwards for future shows and possibly other events also. 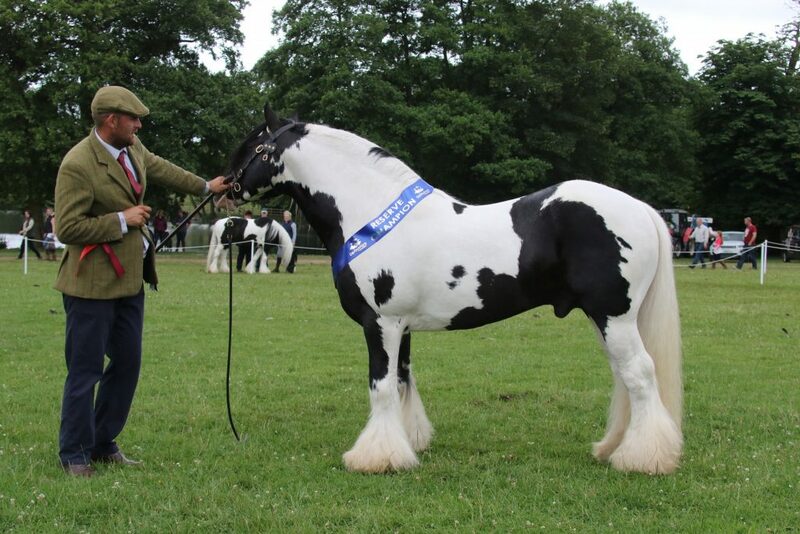 Additionally, the Committee feels a big thank you is owed to Lucy and David Palmer of Locko Park for kindly allowing Derbyshire County Show to take over their ‘garden’ for a week. Emma, the Lighthorse Secretary would like to personally thank all of the show team, the Lighthorse section ran very smoothly with the help of everyone involved on the day. A Small hardworking, dedicated team of volunteers made the Section what it was, with some new faces for 2017 to help keep this traditional event going, as we are not getting any younger. The Judges and stewards all seemed to have a fantastic time, commenting on how refreshing it was to have happy smiling competitors with good sportsmanship. Planning for 2018 is underway and we will keep you up to speed on web pages but also in real time on Facebook.